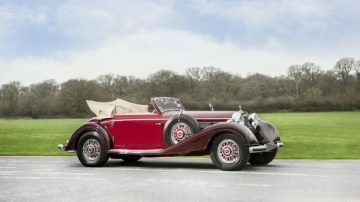 Top cars offered at the Bonhams Paris 2019 sale include a Mercedes-Benz 540 K Cabriolet A, BMW 507 Roadster and Bugatti Type 43 Tourer. 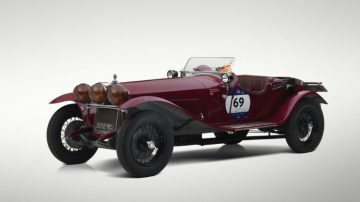 The million-dollar cars on offer at Bonhams Paris 2019 include a delightful number of pre-war classics, a couple of 1950s classics and only one modern supercar. 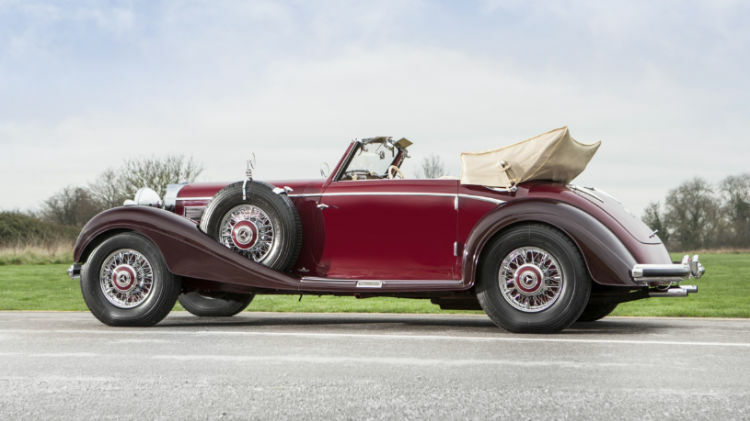 The top cars include a 1939 Mercedes-Benz 540 K Cabriolet A that belonged to King Hussein of Jordan, a rare 1957 BMW 507 Roadster Series I, a 1997 Ruf Porsche CTR2 Sport Prototype and a 1928 Bugatti Type 43 Grand Sport Tourer. 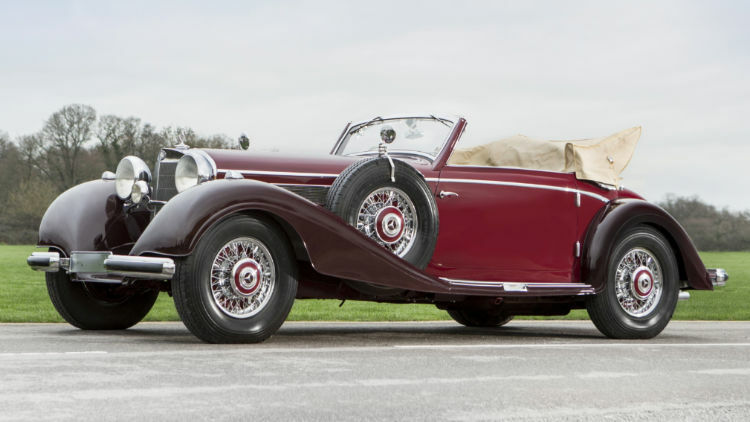 The most-expensive car on offer at the Bonhams Paris 2019 classic car auction is a magnificent 1939 Mercedes-Benz 540 K Cabriolet A. The car has a known history from new and is sold by the Jordanian royal family. King Hussein bin Talal, who ruled Jordan from 1953 to 1999, acquired the 540 K in 1985. He famously loved cars, and Mercedes Benz cars in particular – he is apparently the only head of state to ever have visited the Mercedes Benz Classic Center in Stuttgart while in office. Mercedes Benz 300 SL Gullwing and Roadsters are again being offered in large numbers at public auctions. Six – three of each – are available at the Scottsdale 2019 auctions in January, so by the time of the Paris sales, buyers should already know whether prices are firming up again or still moderate. 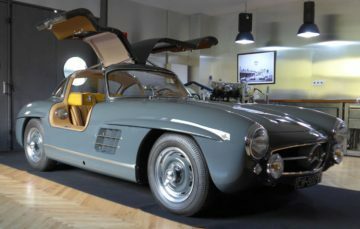 The 1955 Mercedes Benz 300 SL Gullwing is the more interesting of the two cars on offer. It is probably the only Gullwing fitted with a new factory supplied aluminium engine block when the original engine was replaced in 1965. This Gullwing also has several improvements for more reliable daily use including front disc brake conversion, electronic ignition, and improved and more reliable fuel system – these changes are reversible and original parts are included in the sale. A comprehensive restoration was completed in 2018. The 1958 Mercedes-Benz 300 SL Roadster is a matching numbers car presented in its original ivory over black color scheme. It was restored in 2001 and as an original French delivery is fitted with European-specification one-piece headlights. The 1957 BMW 507 3.2-Litre Series I Roadster with Hardtop is a rare car – only 34 of the 257 BMW 507 Roadsters built were Series I models. It is a matching numbers example with its engine rebuilt by BMW Classics in 2018. The BMW failed to sell at two RM Sotheby’s auctions: Monterey in 2016 and Villa Erba 2017. Some work has been done to the car and estimates have increased slightly. 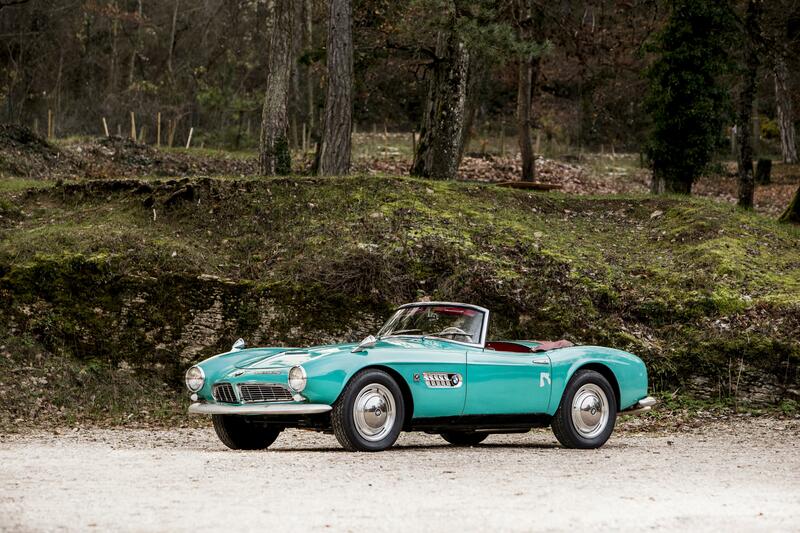 Bonhams had two spectacular results for BMW 507 Roadsters in 2018, including $3 million for the 507 that the car’s designer Albrecht Graf von Goertz owned himself privately and more spectacularly a BMW marque-record $5,032,000 at Goodwood 2018 for the 507 owned from new by John Surtees. The previous highest price paid for a BMW 507 was $2,750,000 – expect the rush to market to continue as long as prices hold up. The blisteringly fast 1997 Porsche Ruf CTR2 (€1,300,000-1,600,000) – was the first Ruf CTR2 Sport prototype and the 11th CTR2 overall. It was for many years the fastest production vehicle in existence. Capable of reaching 60 mph in under 3.5 seconds and with a top speed of 220 mph, this is arguably the ultimate 90’s performance car. It outperformed the Ferrari F50, Jaguar’s XJ220 and Nissan R390 GT1. The Ruf conformed to Pike Peak and FIA regulations while still being road legal in both Germany and the USA. It finished Pike Peak in 1997 second and has a very impressive racing record including 41 podium finishes (76% of races entered) including 22 first places (41%). 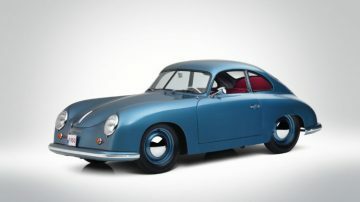 The 1950 Porsche 356 Split-Window ‘Four Digit’ Coupé (€800,000-1,100,000) is a concours-ready example of one of the most iconic sports cars ever created. This rare split windscreen version is thought to be one of only 30 survivors and has won prizes across Europe such as ‘Most Iconic Car’ at the Zoute Concours d’Elegance and ‘Best Restoration’ at InterClassics Brussels. It is in absolutely original condition and would make a remarkable addition to any collection. The 1928 Bugatti Type 43 Grand Sport Tourer has a continuous ownership history from new. Its first owner was Crown Prince Leopold of Belgium. (His second wife’s 1957 Ferrari 250 GT Speciale is on offer at RM Sotheby’s Arizona 2019.) The prince owned three Type 43s in succession – this was his second but in a special “deal” was reissued with earlier serial numbers to avoid import taxes. Much of the Bugattis mechanics are original but the coachwork was mostly renewed in 1975. 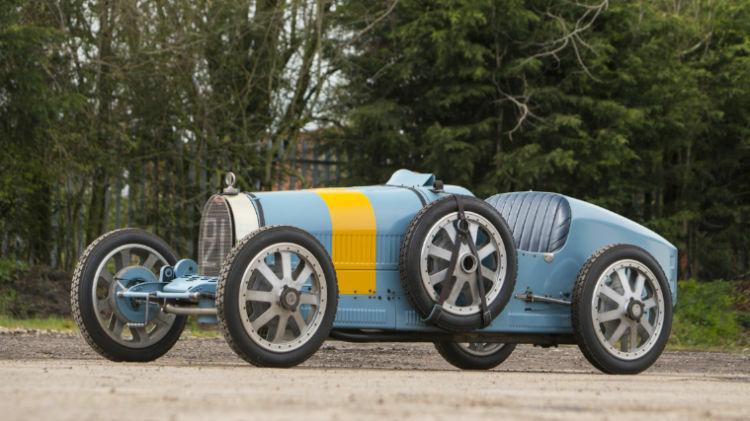 For the smaller budget, several Bugatti child cars will also be available in the Bonhams sale, as well as a 1930 Bugatti Type 40 Roadster, estimate €380,000 – €460,000). 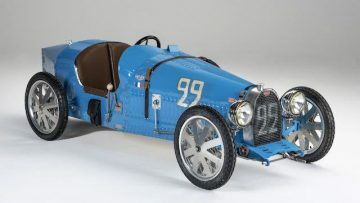 A 2018 Bugatti Type 35 Child’s Car, estimate €4,000 – €7,000) was hand-built in Germany and is capable of 45 km/h. Modern Bugattis will be available at RM Sotheby’s Paris 2019 – including a Chiron, Veyron Grand Sport Vitesse, Veyron Super Sport, and EB110 while Artcurial have a selection of 9 classic Bugattis, including a Type 51 Grand Prix. The 1930 Alfa Romeo 6C 1750 4th Series Supercharged Gran Sport Spider is an ex-Luigi Scarfiotti, Scuderia Ferrari car with Zagato couchwork. It is a highly original vehicle and well documented. The car is one of the three Alfa Romeo’s Scuderia Ferrari entered in their first race ever – the Mille Miglia in 1930. None of the Ferrari team’s Alfas finished the race but in the 1931 Mille Miglia, the car on offer finished sixth overall – three places ahead of the more fancied new 8C 2300 driven by Nuvolari. Despite a gap in its history – from the mid-1930s to the 1960s – the Alfa Romeo retained its original chassis, engine, gearbox, rear axle, front axle, and steering box. It is sold with a large number of authentic spare parts too. It also sports some of the earliest known Ferrari modified parts on any car. 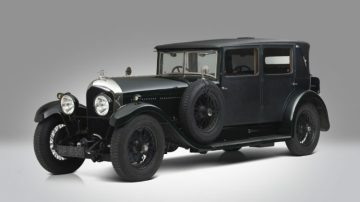 The 1928 Bentley 6½ Litre Four Light Weymann Fabric Sports Saloon is a rare survivor of the closed “Big Six” Bentleys. It is a matching-numbers example with a known history from new. It had eight owners from new and covered only 42,000 miles in the past 90 years. Also in the Bonhams Paris 2019 sale is a rare 1931 Bentley 8-Litre Sports Tourer with open coachwork in the style of Vanden Plas (estimate €600,000 – €800,000). It is one of only 36 short-chassis examples out of a total 100 built. Top Ferraris are playing a minor role in the Bonhams Paris 2019 sale with the 1956 Ferrari 250 GT Berlinetta with coachwork by Carrozzeria Boano the only million-dollar Ferrari on offer. This car was the 56th of around 130 produced with coachwork by Boano, as Pinin Farina’s workshop was not ready for the volume of work coming from Ferrari. The Ferrari was originally delivered in France but spent five decades in North America.